A number of folks asked me what I think will happen on Inauguration Day at the inauguration. I think it will be relatively calm. Sure, there will be some protests and disturbances like these knuckleheads antagonizing each other. But I don’t think there will be widespread violence. There is too much police activity. I still say Democrats should be attending no matter what. This is not about Donald Trump. This is about United States and the peaceful transfer of power, as I wrote here. Go ahead and investigate the election and Russian involvement. Despite what Republicans say, Russia has a history of getting involved in foreign elections. Still, this is a celebration of America. We all need to be there. I am not big on ceremonies. Never have been. So, yes I will watch. But I will be interested in getting some work done — something I hope the new President and Congress will be anxious to do too. For all of us. I have voiced my optimism about Trump’s ability to negotiate better deals for the US and his ability to create jobs and economic growth. However, I still worry about is negative effect on women and minorities. I really want him to address this. I am willing to give him the benefit of the doubt that he is not a sexist or racist. But my fear is that he has encouraged sexists and racists in our population to endanger other Americans. So I worry about women and LGBT and I understand their fears. Hopefully, the new President will. Many will boycott attending or even watching the inauguration. And, granted, this is a strange one. But is it any stranger that a peanut farmer from Georgia (Jimmy Carter), a kid from a broken family in Arkansas (Bill Clinton), or a bi-racial kid from Hawaii (Barack Obama) could become president. There are a lot of things that bother me about Donald Trump. But today, let’s celebrate what he has done. That doesn’t mean we need to sit and let him do whatever he wants. As Americans, we are the custodians of our country. We are really the shareholders. We need to hold him and Congress accountable. Unfortunately, we don’t do that enough. Many of us think of Russia as a superpower. They are not. They are a regional power. However they are not just a radical group like ISIS. But Russia has nuclear weapons. They also have a sophisticated military and intelligence, along with Internet hacking capabilities. But understand that Russia is far worse off than us. They have an aging population with a refusal to open up immigration, a lack of natural resources due to their geography, and a mentality that draws itself to a strong man whether it is Putin, Stalin, or Lenin. They are a dying culture. The problem is they have nuclear weapons and a covert military that acts like an animal caged in a corner. Someone, who I consider a friend, posted why don’t I ever post anything positive about Donald Trump? First, it is not true. But why does it appear that way? Well, he hasn’t done anything yet. He is not president. I have certainly acknowledged his victory and what an accomplishment that is. If he creates more jobs, keep the economy moving, and keeps us in peace then he has done what he is supposed to do. That is not necessarily news. I also posted back to this friend that he never criticized me when I chastised Obama for: shelving the Simpson-Bowles plan; not moving on the line in the sand with Syria; and the unintended consequences of Obamacare. 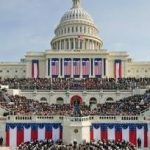 Next post: Inaugural React: First Third Party President?